The family medicine specialists who make up South Coast Medical Group are trained to handle 99% of the complaints that walk through the door. The staff is trained in adult, geriatric, and family medicine, and thus can provide primary care to all families who live in Aliso Viejo, California, and the surrounding communities. Come in to see for yourself or book an appointment online. The doctors and staff at South Coast Medical Group provide the highest quality of care for your whole family under one roof. What falls under the scope of “primary care”? South Coast Medical Group can offer you annual exams, well-woman exams, well-child exams, and treatment when you’re ill. A primary care provider offers treatment for the common cold and when you need monitoring of a chronic condition, such as high blood pressure. As a primary care practice, the staff and physicians look after you as a whole person. At South Coast Medical Group, treatment is offered to the whole family — men, women, and children ages 4 and older. 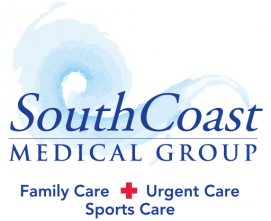 What are specific ways that South Coast Medical Group monitors health? At annual visits, your height, weight, blood pressure, pulse, and cholesterol are recorded and monitored. Women may receive a well-woman exam to ensure their reproductive organs are healthy, too. The staff tracks the growth and development of children starting at age 4 and provides any necessary vaccinations. The doctors will answer any questions you have about your health, including diet, exercise, and mood. Why is it important to see a primary care physician regularly? To keep tabs on your health so you can catch problems before they become serious. Regular visits help you learn how to prevent or manage a chronic condition, such as heart disease, before it severely incapacitates you. This improves your quality of life and reduces your risk of complications in the future. Can South Coast Medical Group help if I’m having problems with sleeping? Sleep studies are another service that South Coast Medical Group offers. When untreated, sleep disorders can have an impact on high blood pressure, depression, stroke, and heart disease. Poor sleep can affect your day-to-day activities and your work productivity. South Coast Medical Group is a place to seek help if you’re having trouble with sleep. Ask for a sleep study and treatment if you have difficulty falling asleep or staying asleep, you snore profusely, you can’t sleep due to strange feelings in your legs, or you can’t function due to sleepiness.